We quite often take a look at MSI laptops, most of which we’ve been quite fond of, though today we look at something a little different. An ultraportable gaming laptop with all of the credentials to back up those claims. 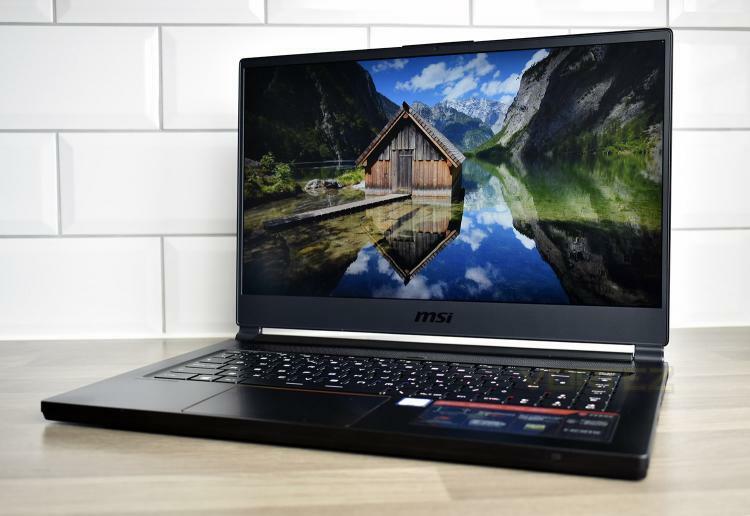 Along with the specification listed above, MSI have gone to great lengths to install a thin-bezel 1080p display to the GS65 Stealth. This display is capable of 144Hz and boasts IPS-level colours. Thunderbolt 3 connectivity, 8 hours of productivity battery life and a slim charging adaptor should make this a perfectly portable powerhouse, while the inclusion of several display adaptors, DYNAUDIO and a SteelSeries-developed keyboard means it can be used as a desktop replacement once home, if you so require. On paper, at least, the MSI GS65 Stealth Thin 8RF appears to offer solid performance within a paper-thin enclosure. Let’s throw some tests at it and see how it performs.